We run 3 different Ghost walks in the Midlands, one each month in Birmingham and occasional walks in Warwick and Sutton Coldfield. We also run a special Halloween tour on the 31st October each year. 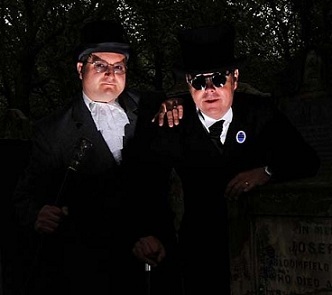 We also run public Ghost Walks in Sutton Coldfield and Warwick, as both these towns have a long history of hauntings. The Sutton walks are on the 2nd Friday of January and April, with the Warwick walks on the 2nd Friday of February and November. Tickets for our regular monthly and periodic tours can be obtained online from WeGotTickets (no booking fees).